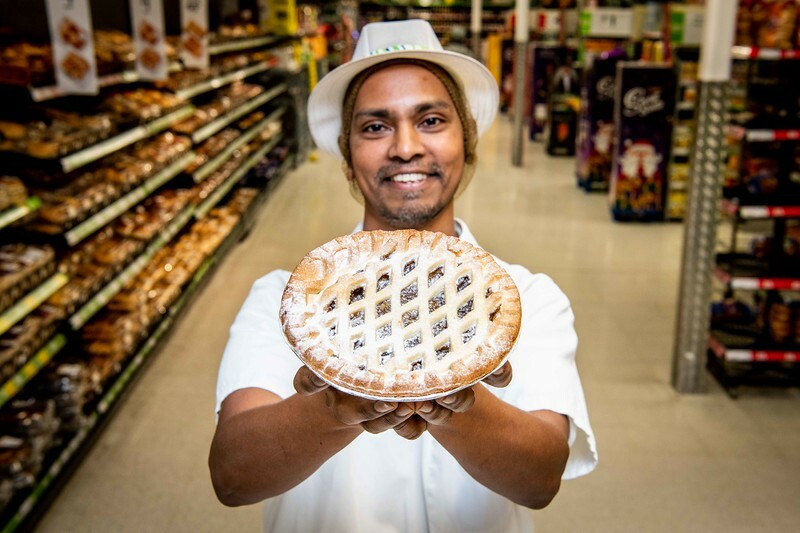 Christmas is the biggest day of the year, and this festive season it’s getting even bigger, with Asda’s launch of a LARGE mince pie. At almost three times the size of a normal mince pie, it’s seven inches in diameter, three and half centimetres deep, weighs 435g and available for just £1.50. With a buttery, crumbly pastry filled with juicy sultanas, raisins, festive peel and cranberries, the pie is finished with a delicate pastry lattice, sprinkled with icing sugar for a festive finish. Asda’s Large Mince Pie is available for £1.50 from 22nd November. In the coming weeks, ASDA is launching several ‘giant’ products. Firstly, the ‘Large Mince Pie, which is almost three times the size of a normal mince pie and is seven inches in diameter and perfect for sharing at any Christmas do.